Military scams have a long history. Back when there was no internet, scammers used to write physical letters to people claiming to be a soldier deployed far away and in some kind of hardship. Around that time, it was even harder for people to communicate with someone on the other side of the world, and even harder to verify the facts. Upon receiving a letter from someone in trouble needing a hero –a hero needing a hero – some decent and trusting people would just go ahead and wire money without any questioning. These days, most of us are aware of the risk. In today’s world things are a little bit different, but military scams are still a big problem and are on the rise, believe it or not. There is a lot of awareness about scamming, alerts are being sent out every day, and people have heard about this and pay more attention. However, scammers are very good at what they do, and recognizing the fraud can be very difficult. International private investigators from Wymoo® have found that the schemes used by these con men are getting more and more elaborate. 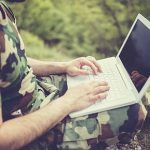 Scammers posing as soldiers now have access to real data and photos of real people, thanks to the internet, to pose as real soldiers. When people try to verify their online partner who is in the military, everything appears to check out. And, they might not even ask for money! Investigators say there are many ways to be a victim, from hacking, identity theft to blackmail are elements used in a romance scam. For instance, a simple internet search can easily show anyone what are the weather conditions, news and insights of the day anywhere in the world. It might seem simple, but when you meet someone claiming to be an American citizen, member of the U.S. military, supposedly deployed in Afghanistan who can tell you what happened today close to the base, there is no reason not to believe they are not really there. A map search will help identify places that a scammer can mention, banks and institutions that operate in Kabul, roads, addresses, cultural spots, etc. Things can just get more complicated when you add the fact that real military members have not been cautious about their privacy settings online, leaving a door open for criminals to steal their pictures from online dating sites or social media networks, and even stealing their names and information. Although soldiers are now being educated on best social media practices, there is a long way to go. Many people rely on an internet search to verify if the person they have met online is really who they claim to be. But it is important to consider that the person you are looking for might really exist, but he/she is not the same person you have been talking to. Identity theft is now one of the most common types of fraud and it takes a true professional private investigator and real background check investigations to unveil the fraud. Under these circumstances, how can you avoid being scammed by a fake soldier? There are some important tips to follow. Be skeptical. You have just met someone online and you have no idea if the person on the other side of the computer is legit. Don’t get fooled by pictures or web cam either, there are many tricks that can be used to simulate a video chat. Protect your privacy. Try not to share too much information of yourself. Get to know this person, ask a lot of questions, especially those that might be of great relevance for an investigation like dates of birth and other facts that can be verified. Once you have enough information, and if you are really interested in this person, hire a background check and verify if he is really a soldier in Afghanistan. Know the red flags. When the person you are dealing with mentions having family or friends in another country, especially if they are in Africa or a high risk country, this is a major red flag. Most of the scammers claiming to be from the military currently deployed in Afghanistan are located in other countries, and they will find a way to link their supposed current location with where they will ask you to send money. Money requests are red flags, and you should never send money to anyone you’ve never met or had properly verified by a professional investigator. Finally, remember that being cautious and skeptical will cost a lot less than being naïve, not only in financial terms but also emotionally. Don’t let yourself be fooled! 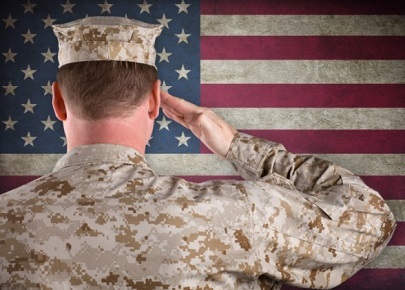 There are a lot of great men and women serving in the military online, many of whom are true heroes. But, if you meet someone claiming to be in the military, be safe and speak to an investigator to get the facts. I was one of those unlucky ones that got scammed… my scammer was good he knew what he was talking about. I feel so bad and humiliated! Just found out today that the man in Afghanistan ( a lieutenant) I’m talking to for about 5 months is a scam. These scammers will promise women anything to get them to send money. I totally understand how people can get caught up in this scam.